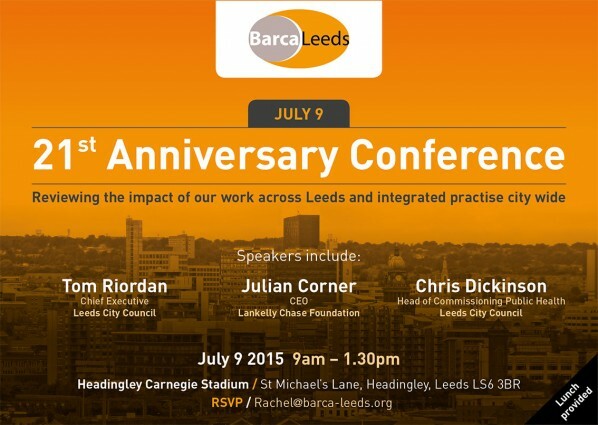 Barca-Leeds set to celebrate 21 years in west Leeds | West Leeds Dispatch | News. Views. Get involved! A West Leeds organisation is celebrating 21 years of working to address social problems by hosting a special conference next week.Barca-Leeds is an independent, multi-purpose organisation based in Bramley which provides specialist services to children, young people, and adults in the community. The charity supports people to overcome a broad range of health and/ or social issues, many of which stem from social deprivation. A free event running in Headingley next week will look at what they’ve learnt from working mainly in West Leeds to address social problems and why they’re championing integrated working (putting people first and connecting agencies together so that treatment is holistic). The event takes place at Headingley Carnegie Stadium on Thursday, July 9, 9am-1.30pm.